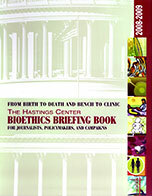 Bioethics Bootcamp is nearly sold out — register now! Bioethics Bootcamp is nearly sold out — if you’re thinking about coming to this unique, popular, first-time event, now’s the time to register. No walk-ins are allowed. Pre-registration is required, so you can’t decide at the last minute. We hope to see you there.